Federal agents detained a dozen undocumented immigrants from Central America early Thursday after spotting them in the ocean aboard a pair of small fishing boats, headed for landings in Mission Beach and Sunset Cliffs. 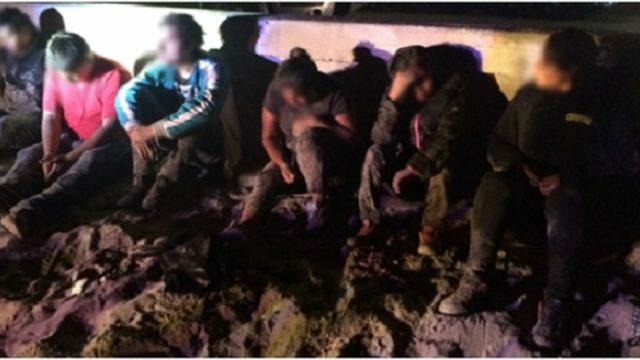 The first of the two unsuccessful human-smuggling runs came to light shortly before 2:30 a.m., when a camera operator at the multi-agency Joint Harbor Operations Center on San Diego Harbor spotted a crowded skiff offshore from Belmont Park and notified the U.S. Border Patrol, according to USBP public affairs. The boat landed near Ostend Court, where 10 people ran onto the beach, officials said. The operator of the boat then re-launched into the sea and headed back to the south. Within minutes, Border Patrol agents arrived in the area where the migrants had debarked and took them all into custody. Minutes later, JHOC personnel spotted a second small watercraft just west of Sunset Cliffs. It soon landed near the western terminus of Adair Street, where federal personnel intercepted and arrested two people and seized the motorboat. The detainees — seven men and five women ranging in age from 19 to 43, one of them from Guatemala and the rest Mexican nationals — were all in the country illegally, according to the Border Patrol.